For the earliest followers of Christ, the stories of the New Testament were preserved in the letters written by the apostles and shared through the oral tradition. 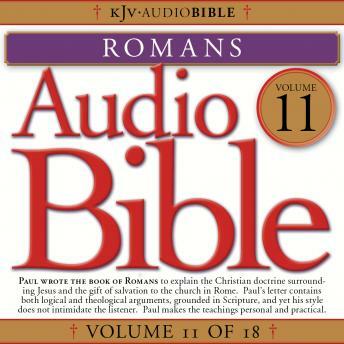 Join now as Bruce Bayley Johnson brings the Word back to life in this compelling narration of the Audio Bible. Paul wrote the book of Romans to explain the Christian doctrine surrounding Jesus and the gift of salvation to the church in Rome. Paul's letter contains both logical and theological arguments, grounded in Scripture, and yet his style does not intimidate the listener. Paul makes the teachings personal and practical.